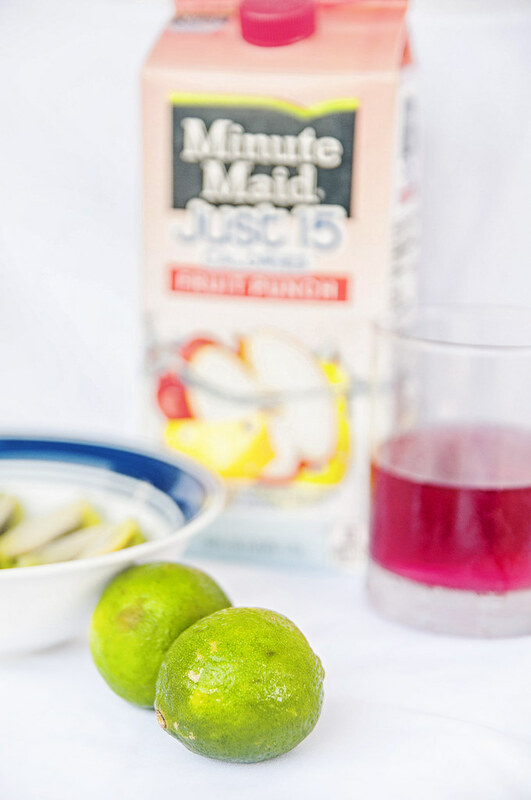 Typically, having a big cup of lemonade with a lot of ice cubes in hot summer days is like reaching an oasis in the middle of a faraway desert. 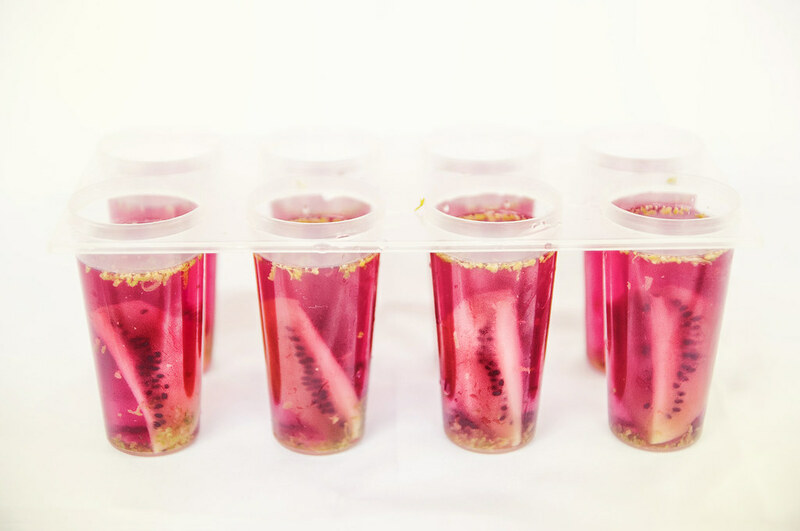 However, there are many other possibilities for summer treats rather than the conventional use of lemon and ice, for example lime, kiwifruit and condensed fruit juice. By the name of mentioned ingredients, you might think of fruity cocktails with gorgeous looks and irresistible tastes as obvious outcome. However, a lazy person as I am have the tendency to find the simplest and fastest ways to make fascinating beverages instead of going throught a lot of sophisticated steps in order to achieve state-of-the-art kinds of drink. 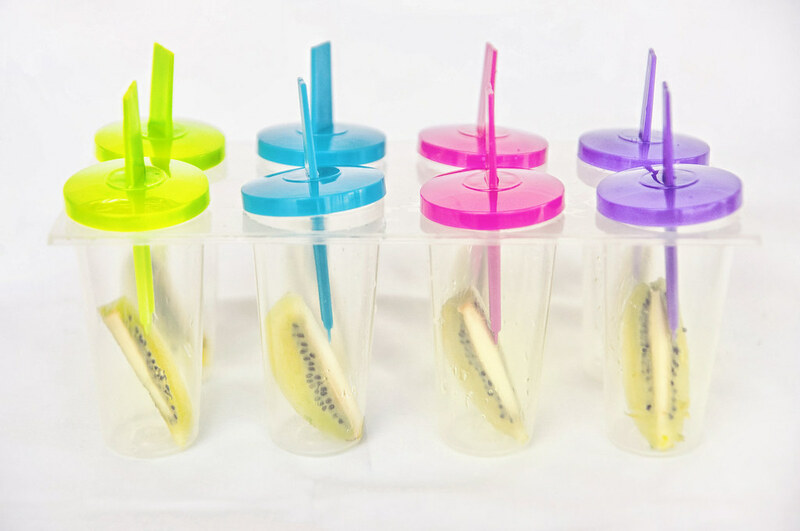 As a result, the fruity ice pop is an excellent choice which does not require costly edible substances as well as expensive kitchen equipments, and all the preparing and making tasks can be completed within 15 minutes (time for taking photos is not included). 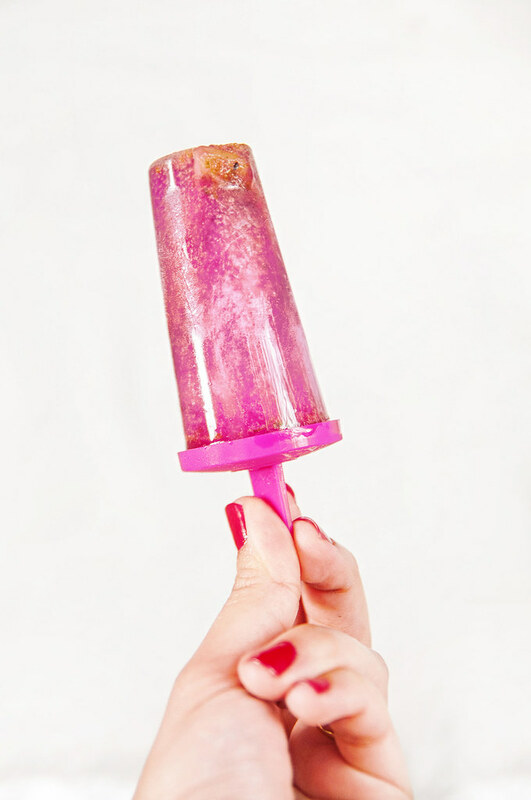 I would love to share with you guys the recipice of my new summer treat, the Vampire Lollipop ❤ . Although people prefer to have cool drink when the weather gets too dry and arid, I also want my ice pop to be hot looking and cool feeling at the same time. What can have these contradict characteristics all in one subject matter? My romantic imagination brings up the image of a handsome vampire with a charming deadly smile, a cold-blooded creature that can steal the hearts of frivolous women regardless of their ages. Too much talking, I guess, so let’s start to make this fruity summer treat 🙂 . 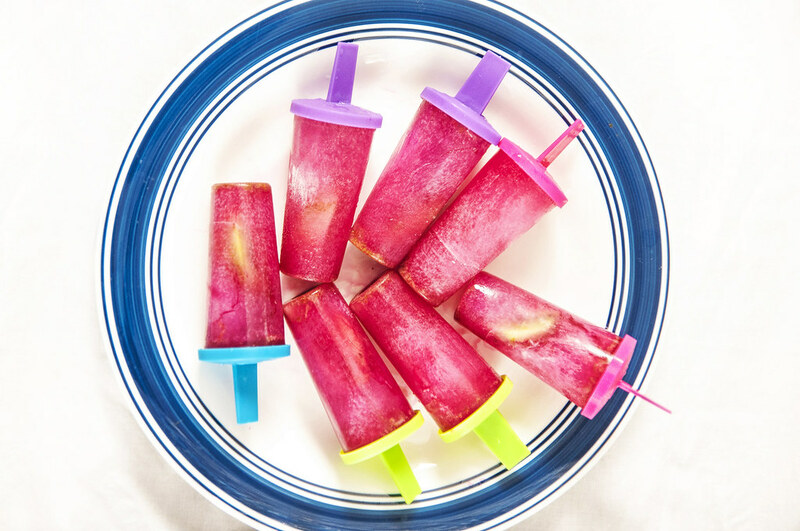 One thing to remember when filling up the ice pop molds is that you should put the heavier elements first and the lighter one later. 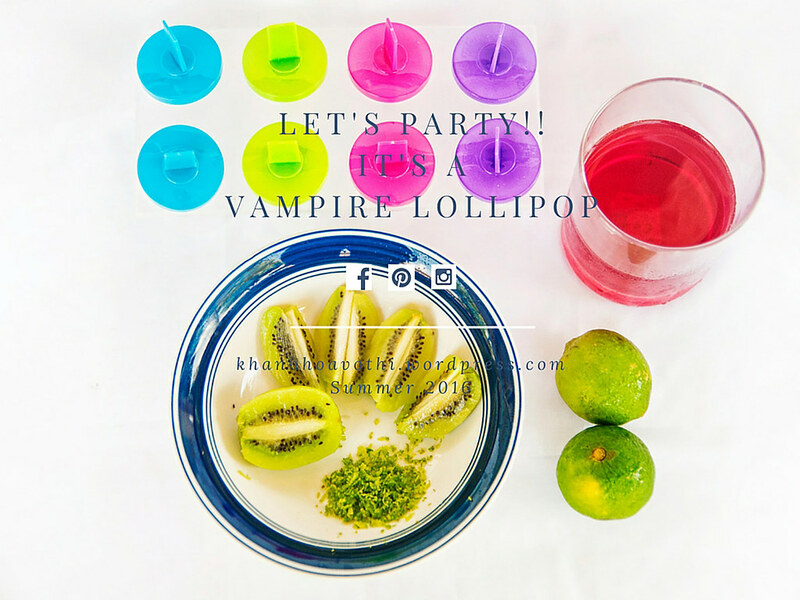 The Vampire Lollipop in this post is made by following this order: putting a piece of kiwifruit in a mold, pouring the condensed fruit juice in that mold until the water comes up to the top of it, tossing a small a mount of lime zest on the surface of the combination, closing the plastic trap and you are done. 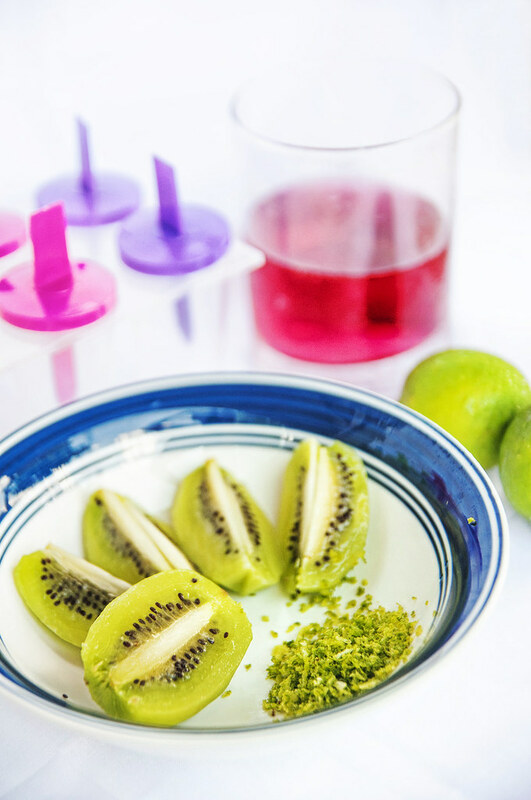 My ice pop molds are a little bit small, therefore, I only use a one-eighth piece of kiwifruit per mold to keep the fine shape for the final ice pops. 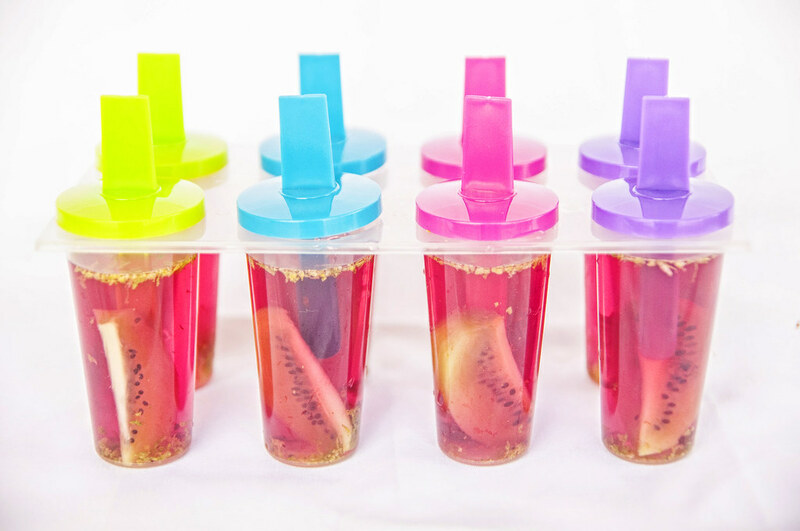 You are free to use the bigger molds and then you can put more fruit inside them either one kind or mixed. 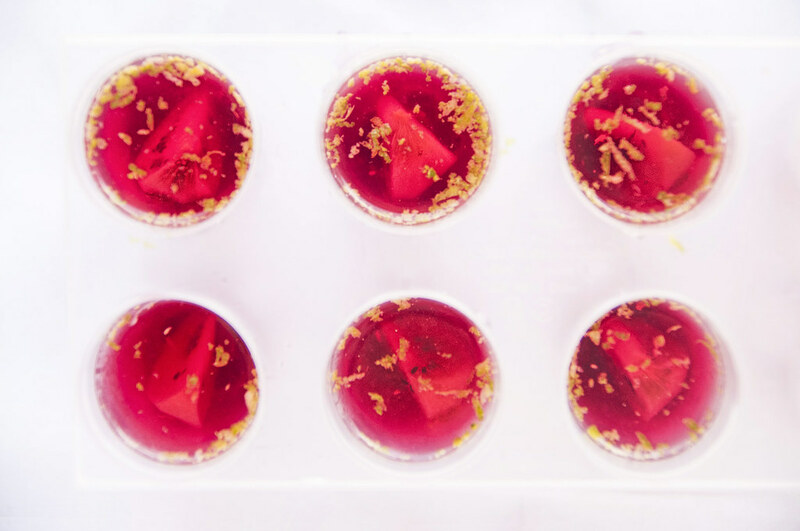 Keep the molds in refrigerator until the condensed fruit juice freezes into ice, call your squad, throw a party and enjoy your summer treat ❤ .